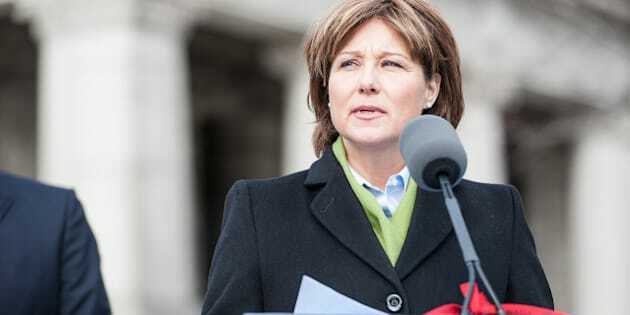 VICTORIA - Leaked Liberal documents reveal a wide-ranging plan with links to senior officials in Premier Christy Clark's office to win ethnic votes in the upcoming British Columbia election. The January 2012 documents released Wednesday by the Opposition New Democrats outline a proposed outreach plan involving the premier's office, the multiculturalism ministry, the government caucus and the B.C. Liberal Party. NDP House Leader John Horgan said building support in ethnic communities is laudable for all governments, but the documents indicate election-related planning was to be conducted by taxpayer-funded workers, some working out of the premier's office. "No one has any dispute about the rich multicultural heritage in B.C. and the obligation of government to celebrate that and to build upon various communities in every corner of the province," said Horgan. "What we object to, and I think every British Columbian would object to, is their tax dollars being used to prop up the B.C. Liberal election machinery." The 17-page document dated Jan. 10, 2012 and called Multicultural Strategy Action items was sent by Kim Haakstad, Clark's deputy chief of staff, to the personal email addresses of eight people, including Pamela Martin, who works for the premier's office; Brian Bonney, a former government multiculturalism communications director; and former Liberal caucus official Jeff Melland. The documents state the plan's strategic objective is to "make sure government caucus and the party are all working toward the same goal and in a co-ordinated and effective manner." The leaked strategy reveals plans to outflank the NDP in its approach to handling the ethnic media, with the objective to "match and then exceed the B.C. NDP's ethnic media efforts in a place of importance equal to that of so-called mainstream media. "We need to redefine our approach to ethnic media from being 'add-on' to being viewed as part of the mainstream media." The documents reveal the plan includes eight strategy components, including quick wins, election readiness and community engagement. The quick wins component involves building political capital in ethnic communities by taking what will be perceived as thoughtful and caring actions, stated the documents. Those actions involve identifying and correcting historical wrongs. The documents cite the May 2008 B.C. Liberal apology to the Indo-Canadian community for the Komagata Maru incident. The incident dates back to May 1914 when a charter ship with 376 people from India arrived in Vancouver's harbour. Canadian immigration officials refused to allow the people to disembark. The ship stayed anchored in the harbour for two months before returning to Calcutta. Upon the ship's return to India a riot erupted and 20 people died. The strategy also calls on the Liberals to ensure government and party materials are properly translated for ethnic websites. Multiculturalism Minister John Yap said the plan is more than a year old and does not completely portray the government's plans for engaging with ethnic communities. "Since coming into the role as minister responsible for multiculturalism, we're reaching out to communities and not following through on some of the ideas that were listed," he said. Yap was named multiculturalism minister in September 2012.